Linguistic changes, which imply changing the language of the user interface, translating all documentation such as User's Guides as well as the online help. Cultural adaptation of the interface is usually minor, but it can make the software more reader- friendly in the target language. For example, in MS Word, the B button for the Bold function on the Formatting toolbar has been replaced with a G in French (for “Gras”). It might also be necessary to change hot keys and shortcuts to make them consistent with the translation. As most languages expand compared to the English source text, it is necessary to resize windows and screen options. Finally, it is also necessary to consider local regulations and possibly even changing the product's name. Terminology management is probably the main challenge in software localisation. For most software products, terminology needs to be consistent with Microsoft standards. Any slight inconsistency with Microsoft terminology could considerably confuse the user. 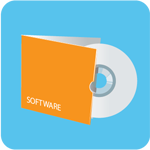 Additionally, all terminology specific to your software product needs to be consistent throughout a substantial number of files and outputs (e.g. text files for software strings, Word documents for User's Guides, html files for the online help). CTC's advanced interactive terminology management systems allow us to ensure a thorough consistency in terminology for your product, whatever the format, whatever the release. To translate the resource files of a software, it is essential that the translator has a reasonably good understanding of the software. Reading the corresponding help files is usually of great help, as well as any supporting documentation that can be provided by the client. Knowing the product will help avoiding many mistakes due to the fact that software strings do not provide any context or additional information helping understand the function behind the button name. Our in-house IT experts can build and test the software application according to your QA requirements. This phase of the project involves compiling all resource files, building the application and debugging the programme. These screenshots of the localised version of your software will be used later in the help files and documentation. They will represent a reliable guidance for the translator when translating the online help. Ideally, screenshots in the source help files will be replaced by localised versions before translating the online help. Translation Memory tools and interactive terminology databases are used to ensure consistency and make maximum use of previous translations. This final phase is meant to ensure that the compiled help files appear and behave correctly on screen, as well as spot any inconsistency between the Online Help and the Software application.